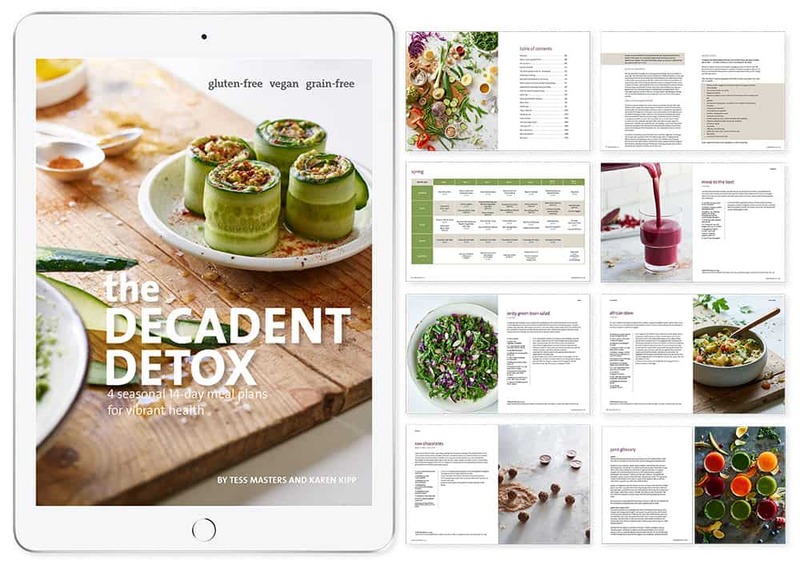 This 14 day detox master cleanse diet book has 115 delicious gluten-free, vegan, and grain-free recipes for green smoothies, juices, salads, soups, dinners, and desserts for detox and weight loss to get healthy with a 2-week cleanse! 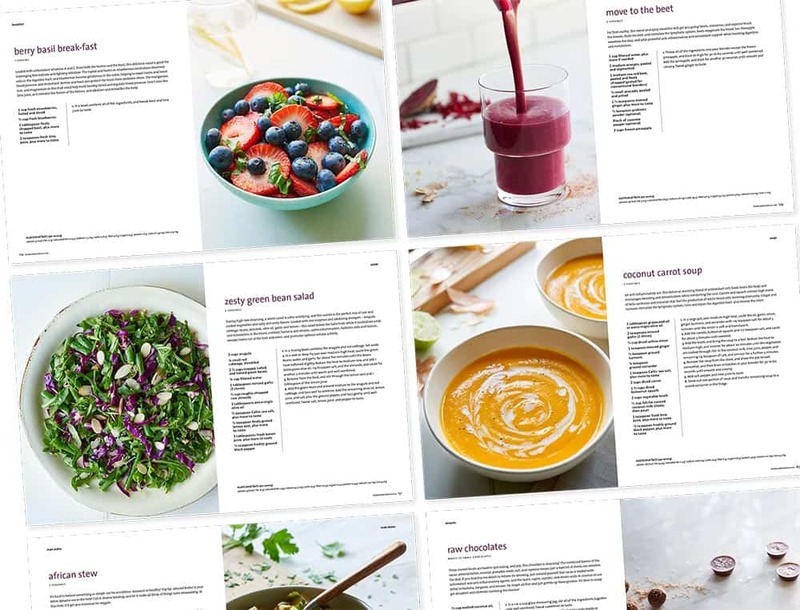 The book contains four seasonal 14-day cleanse programs that include a 3-day juice cleanse to gain energy, calm inflammation, and get healthy. 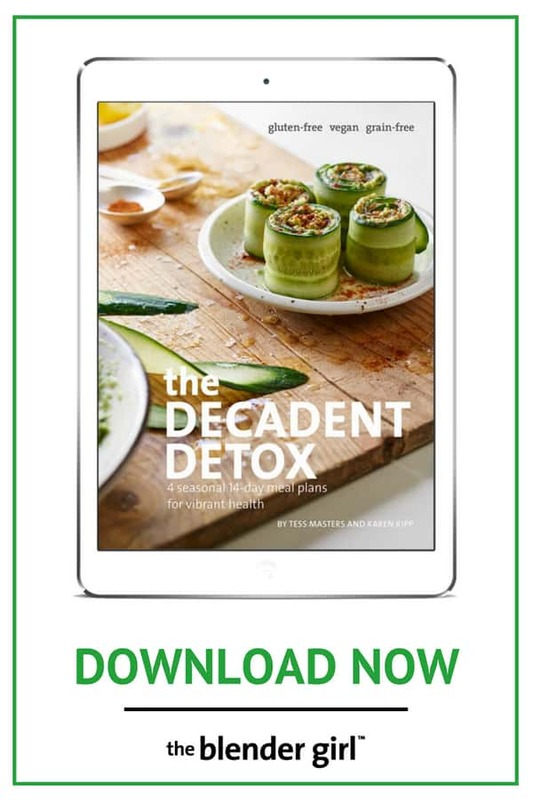 The Decadent Detox is a digital cookbook and wellness guide by Tess Masters and Karen Kipp that contains four 14-day seasonal cleanse programs that include a 3-day juice cleanse). If you’re looking for an amazing 14-day detox to reboot your health and want to learn all about juice cleanses we’ve got the best cleanse program to help you get real results. The Decadent Detox includes four 14-day seasonal menus for Summer, Fall, Winter, Spring, and you can participate in these four 2-week self-guided cleanses at your leisure. Each 14-day detox includes a 3 day juice cleanse as part of the two-week clean eating program. a clear system for how to transition into and out of a juice cleanse or juice fast safely and effectively. And many are keto-friendly and paleo-friendly. 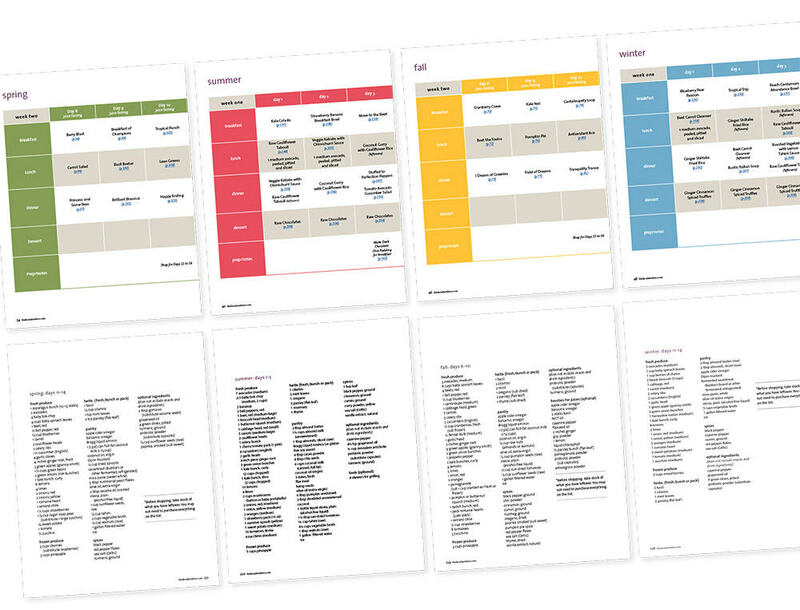 And, there is full nutritional information for all recipes, and shopping lists to make food prep easy. No Starvation. The Food Is Incredible! 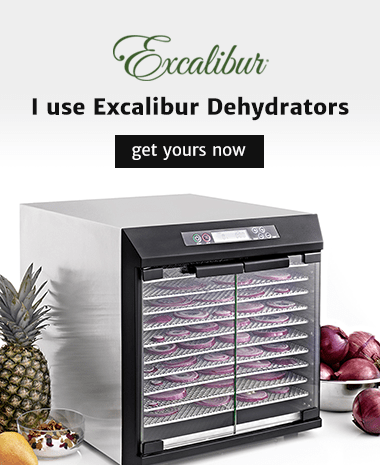 Our recipes is so decadent and delicious that you won’t even know that you’re cleansing. Or, at least that is what thousands of participants have told us. Read the testimonials from our program. 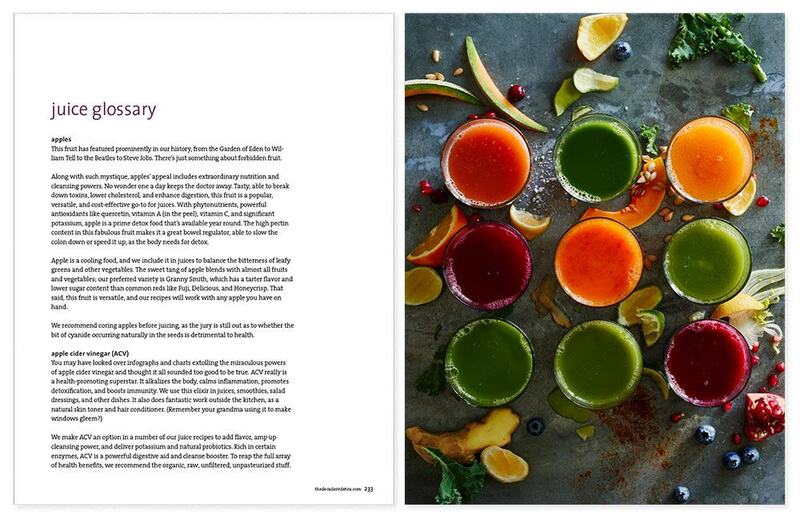 In addition to the menu and recipes, there is a comprehensive juicing glossary outlining how to juice every ingredient. 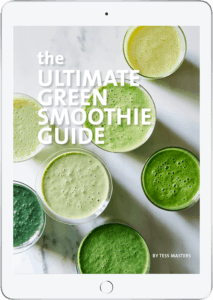 There is information about the health benefits of the ingredients, and tips for pairing and layering flavors to take your juices to the next level. There is also a ton of information about wellness practices that can enhance the results of your cleanse. To help you get strong and healthy. Our 14-Day Detox (including a 3-day juice cleanse in the middle of the two week cleanse) is the best way to reboot your health in a delicious and fun way. 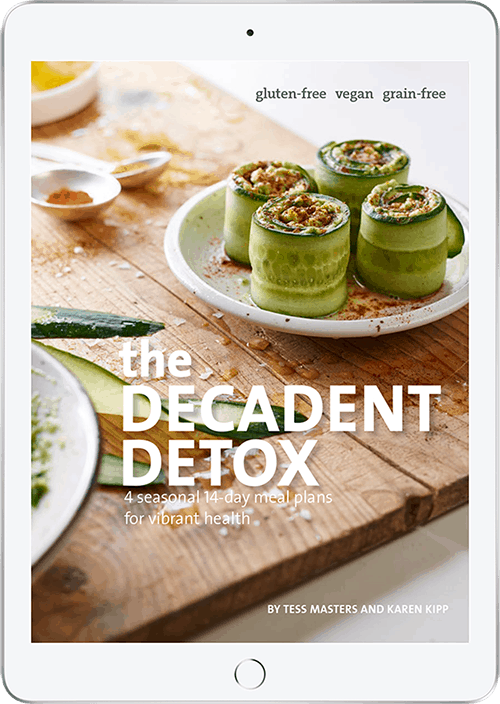 Get your copy of The Decadent Detox and get healthy now. Whether you’re here to initiate or expand on your juicing practice, we’re here to support you on your wellness journey. 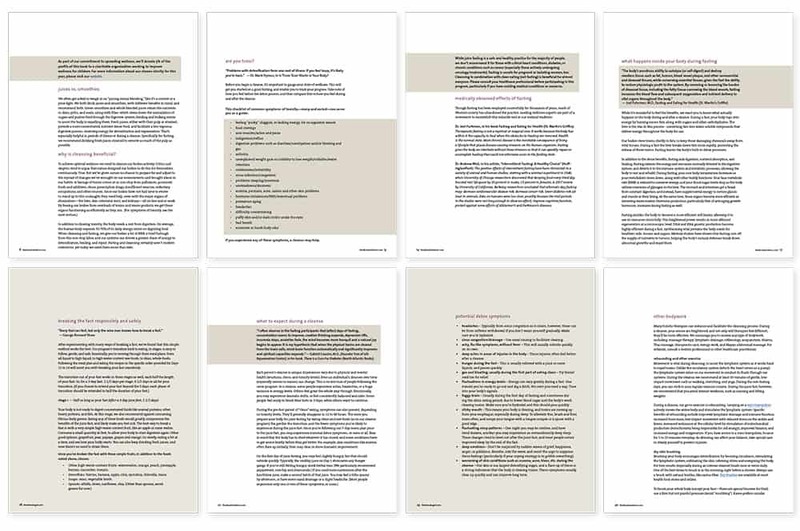 The authors and publisher will not be held liable for the use or misuse of information in The Decadent Detox book. The information shared in the book does not replace the guidance of a qualified medical practitioner. Please consult your healthcare professional before participating in the cleanse outlined in The Decadent Detox book, particularly if you have existing medical conditions or concerns.